Welcome to Oakleigh Plumbing and Heating Limited. Founded in late 2013 by myself, Richard Oakleigh. It is my aim to deliver a friendly and efficient service whilst maintaining a high level of workmanship and customer care. 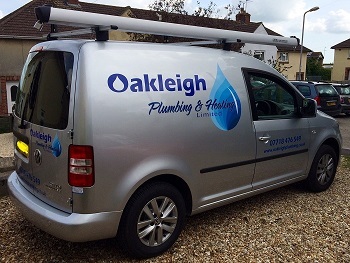 Oakleigh Plumbing & Heating Limited are a small, growing business who can offer a flexible and personal service to you. We offer a wide range of affordable plumbing services to all parts of Dorset and Somerset. This includes all private residence, light industrial, light commercial and general builders. The majority of our work comes from repeat customers and referalls. We know that this is key to having a successful business so we go out of our way to offer excellence, high quality workmanship and efficiency in everything we do. To hear what our customers have to say about us, click on the testimonials link at the top of this page. Richard has been working locally as a Plumber for a number of years. Prior to starting his business he trained and worked for a local firm whilst completing his plumbing & heating apprenticeship at Yeovil College. As well as domestic plumbing, Richard also has experience working in the commercial sector such as schools and offices. He also has several years experience working in the building trade which has helped him gain secondary skills such as tiling, carpentry and decorating.